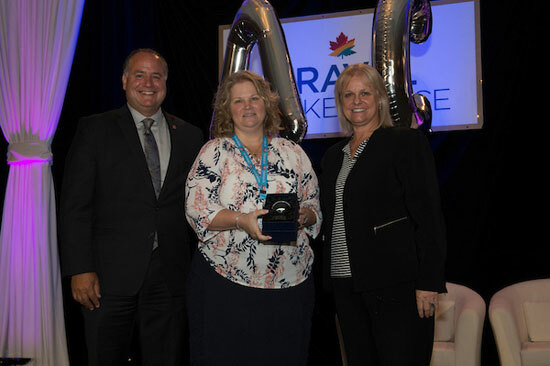 ACTA recognized our members as being some of the best in the Canadian retail travel industry by showcase their accomplishments and dedication recently at the ACTA Air Canada Awards. 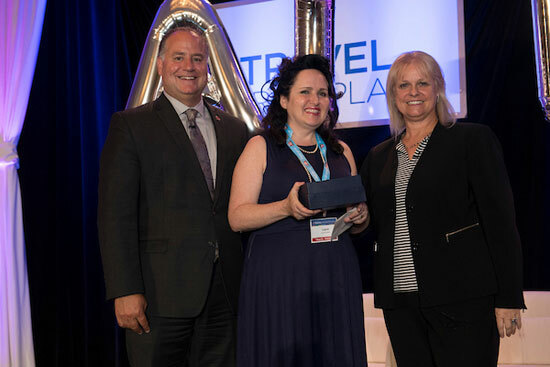 These Awards were handed out during a ceremony held at the Travel Market Place trade conference. The winners were announced across a broad range of categories and were selected by a panel of jurors appointed by ACTA. Leisure Travel Agent - Recognizes a Travel Agent who shows versatility and has extensive knowledge of many travel options available to their clients. This individual has the ability to keep the client excited about planning their dream holiday and always delivers. WINNER: Lisa Koppert CTC from Nexion Canada in London, Ontario. (middle) joins Steve Goodfellow of Air Canada and Wendy Paradis of ACTA for a photo. Corporate Travel Agent - Recognizes a Travel Agent who delivers excellent service to clients, living up to expectations and demands in a timely and efficient manner. This individual must have a good understanding of client's needs from a global perspective including, destination knowledge, policies, visas, and many other travel requirements. 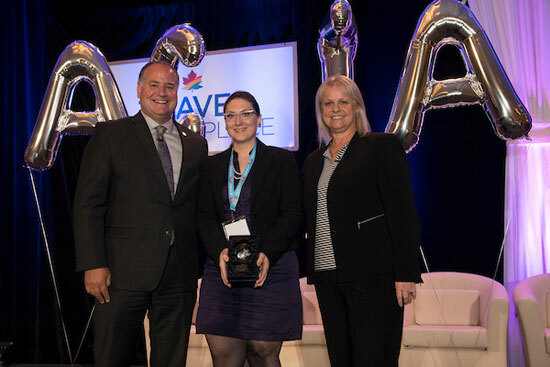 Tomorrow's Leader - Recognizes a young potential leader who has shown divested interest in issues that influence the future of travel and who is a role model for other young professionals. WINNER: Melanie McIlroy from Craig Travel in Toronto. 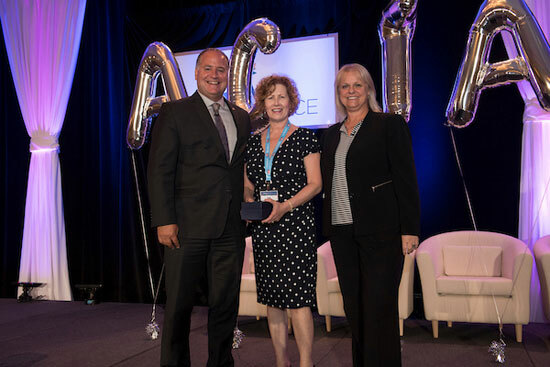 Maguire-Wamsley Award - Recognizes the individual who achieves the highest mark on the ACTA Certified Travel Manager (CTM) case studies who also works in an ACTA member agency. WINNER: Robert Craig CTM from Craig Travel in Toronto. Ches Chard Award - This Award was established in memory of Ches Chard. Ches played a key role in developing numerous educational programs within the industry and was instrumental in establishing the first travel school in the Atlantic Provinces. The Award will be awarded to an individual, a travel agency or a group of travel agencies that have demonstrated a significant commitment to professionalism, education and training and excellence in human resources management. 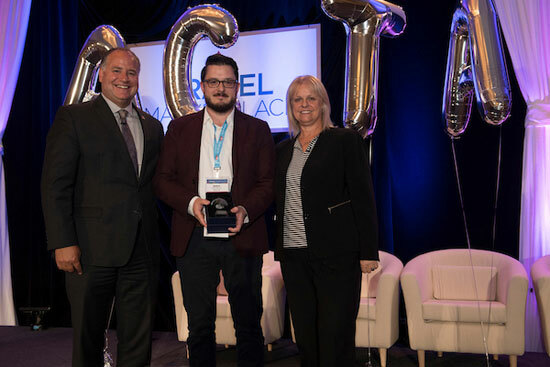 WINNER: Tony Santelli CTC from Collége April-Fortier in Montreal. Gerald Heifetz Trailblazer Award – This Award was established in memory of Gerald Heifetz. Gerald helped travel agents, business people and countless struggling immigrants through his law practice. He was instrumental in the foundation of ACTA and CITC. Along the way he established many of the laws that today, govern the Canadian travel and airline industry. 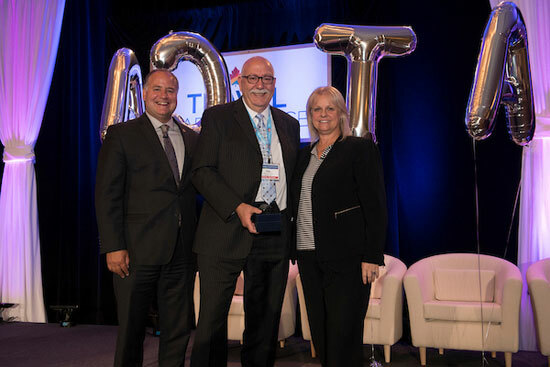 The Award will be awarded to the ACTA member, members or organization in Canada who in the most recent year has had the greatest positive impact on the role, status and condition of the Canadian Travel Industry. WINNER: Peter Keyter, from South Travel in Calgary. Photo below. Laura Heifetz (middle), daughter of Gerald presents the award. Absent is award winner Peter Keyter. Congratulations to this years winners for a job well done. May you inspire those around you to achieve the same excellence. We are proud to be recognizing you as ACTA/Air Canada Award recipients!